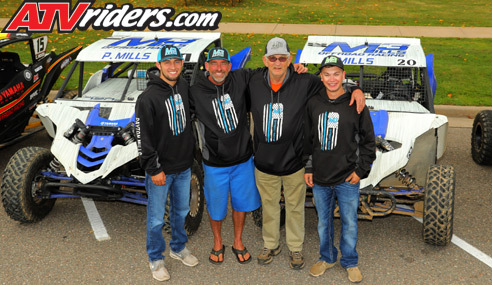 Monroe, NC (9/10/2018) - Mills3 Racing, with father and son driving team Chris and Payton Mills, finished out the Midwest short course racing season at Wisconsin’s Crandon International Off-Road Raceway. The finale was bittersweet for the Mills as they’re not planning to return to the national touring series next season. The Mills had their Liqui Moly/Fuel Off Road Yamaha YXZ 1000Rs prepped and ready for the two-race weekend. 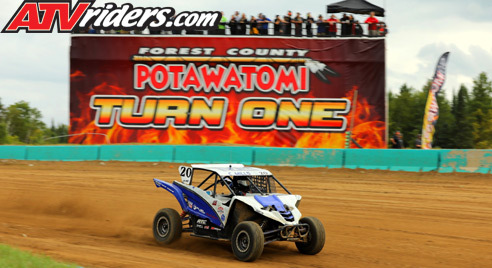 The weekend included the season finale of the Midwest Short Course League, as well as the Crandon Cup. Though mechanical issues held them back, the Mills are holding their heads high after competing against the best of the best for the last two seasons. Chris Mills will always remember and cherish his racing memories, as well as the friendships he’s made over the last two years. He was impressed by the family atmosphere fostered by the short course UTV racing competitors. Payton Mills was amazed at the way other teams pitched in to help them. As a family-run team, the Mills didn’t have anywhere near the budgets of some of the factory racers, but all of them pitched in when the Mills needed help to get back on track. The Mills family has been racing for several years, but the last two are what are most memorable for Payton. While they turn the page onto the next chapter of racing, Payton knows that no matter what he will enjoy it.